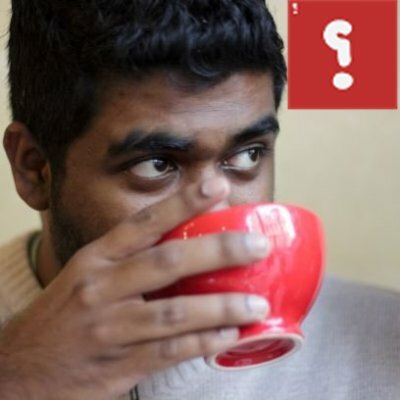 Yameen Rasheed was brutally murdered a year ago today. He had just turned 29, was on the cusp of a major career breakthrough, and had, only a short while previously, met the love of his life. He was the pride of his parents, a beloved brother, a doted upon uncle, a precious friend, an admired colleague, and a brave social critic. The promise of a fulfilling life of success, love, and potential contributions to shaping a more tolerant Maldivian society brought to an abrupt end by a knife plunged frantically into his young body; hatred cancelling out love, intolerance victorious over empathy. It would have come as no surprise to Yameen that in the long painful year that has passed since his life was taken, none responsible have been punished. Justice, as he well knew, is non-existent in the Maldives. And nothing has highlighted this truth more than the obstacles against punishment for Yameen’s killers. To begin with, the investigation was so deliberately careless his already traumatised family had to sue the police for negligence. Their case, of course, was thrown out. The ‘trial’ that followed, and is said to be ongoing, is so secret it is closed even to Yameen’s family. Murders are not just personal crimes, but crimes against society; but society is kept in total darkness about this particular killing which—if only society were to indulge in a moment of collective reflection it would realise—is a pivotal event in its history. If Yameen’s death goes unpunished there would be no turning back for Maldives. What is happening behind closed doors in the name of justice for Yameen is a struggle for the direction Maldives will take in the future: will it embrace tolerance, or will it submit to religious puritans free to take the lives of those who fail their demands for absolute conformity? Yameen’s killing was followed by a flurry of state activity. Not against extremists who assume the authority to murder whomever they think offended what they believe is the right way to practice Islam, but against those who expressed views of Islam contrary to the extremists’ interpretations. The president used the occasion to mount an attack on ‘those who mock Islam’, and self-proclaimed religious authorities tripped over themselves to defend the right of the killers to take the lives of those who advocate tolerance. An Islamic society cannot be secular. It cannot allow other religions to co-exist. Muslims cannot empathise with people of any other faith. To advocate tolerance is to mock Islam. The message that has been broadcast loud and clear—by the president in his various speeches; by religious leaders; by figureheads of the various sects of Islam that have established themselves within Maldivian society; and—sadly—by a substantial portion of the population itself, is: follow this script, or be excluded from Maldivian society. And from life itself. Around the world, across space and time, seemingly isolated events have triggered dramatic changes in societies. The killing of Arch Duke Ferdinand in 1914 became the catalyst for the First World War. Almost a century later, the self-immolation of Mohamed Bouazizi in December 2010 became the catalyst for the revolution in Tunisia, which gave birth to the ‘Arab Spring’. The killing of Yameen on 23 April 2017 had the potential to trigger similarly dramatic changes in Maldivian society. It was an event that could have— should have—brought every mother, daughter, sister, brother, friend, son, and fellow citizen out on to the streets from Male’ to Addu and everywhere in-between. It should have incensed every Maldivian who believe in the sanctity of life, who hold dear the tolerance preached by their faith, who value the existential right of human beings to think freely. But the moment passed, only those personally touched by Yameen’s wonderful spirit came out on the streets. A handful of ‘society at large’ came too. But a year later, they too, have dwindled in number to almost nothing. Only family and friends, and a core group of human rights defenders, remain on the streets. Their pain is as fresh as it was this day a year ago, their demands as sincere, their commitment to justice for Yameen unwavering. But they cannot do it alone. Whether people realise it or not, Yameen’s death is a life-changing event for them. By not raising their voices as one, by remaining silent in the face of the farce that is ‘justice’ for Yameen, by going about daily business as if nothing has changed, in the empty space created by their silence, they are allowing religious puritans to write their own futures, and the futures of their children. Perhaps none of this would have surprised Yameen. But it would have certainly caused him pain. It would have caused him pain to know that the society he fought for did not fight back for him; that when he lost his life in the battle for freedom, the war had already been lost to those making freedom a crime. Without a people’s uprising or a similarly obvious consequence, Yameen’s killing may not seem as life-changing a moment in the history of the Maldives. But it is. In retrospective, if society remains complicit as now, it would be pointed to as the event which planted Maldives firmly on the path to intolerant religious puritanism. Truth is, there is still time to shape what happens next. The ‘trial’ is not over yet. The future is not yet writ large in a ‘court’ verdict. The people still have the power to make sure it will be one that allows all Maldivians right to think freely for themselves without being punished and killed for what they think and what they say. What it will take is for everyone who believes in such a society to stand up. Or be prepared for daily panic, and endless pain. The video is accompanied by a nasheed – a piece of music sung a cappella, popular among fighters in Syria and Iraq. The words are said to have been written by Abu Nuh, a young Maldivian who died in Syria in 2014. The video shows clips of all recent Maldivian presidents—Maumoon Abdul Gayoom (1978-2008), Mohamed Nasheed (2008-2012), Mohamed Waheed (2012-2013), and Abdulla Yameen (2013-present). In one clip Gayoom is shown in front of a group of school children who appear to be bowing to him. Another clip is of Nasheed giving a speech in which he says, “people do not want amputations, executions, or stoning in the Maldives”. Superimposed onto this is a picture of the Maldivian constitution to time with the singer’s words speaking of their [the fighters’] refusal to obey earthly laws. “We will not approve, even if beaten, we will not approve, even if killed, we will not approve,” he sings. The number of Maldivians who want Maldives to be governed strictly according to the Shari’a and Shari’a alone has been steadily increasing in the last decade or so. The clips of Nasheed are followed by a picture of Yameen with the Maldives constitution in hand, at the ceremony in which he was sworn in as President. “We will not obey a human who disobeys the Creator”, says the song. Accompanying this is a video clip of Gayoom welcoming former US President Bill Clinton to a local airport, followed by a video of the Maldives parliament, in a session presided over by Waheed. Video effects show a slow fire spreading across the screen. “Oh, Allah, Allah, I distance myself from this land of oppression, from this cruelty”, says the singer, accompanied by videos of the violent confrontation between Maldives police and a group of men who laid siege to a mosque on the island of Himandhoo in September 2007. It was the first incident to draw the world’s attention to changing religious practices in what was then considered to be a wholly ‘moderate Muslim country’. These clips are followed by a video of Waheed and then speaker of parliament Abdulla Shahid during an honour guard. In this video, too, a fire slowly rises to consume the figures on screen. The video then shows pictures and clips of Maldivian fighters in Syria, before cutting back to a celebratory crowd in Male’ who seem to be moving in unison to music. “I distance myself from this infidelity”, says the singer. The video then cuts back to Maldivians in Syria. “O Taghuts, weak humans, this is a small warning, a war we are waging. O unbelievers, the mobs of Satan; what we want, however much you disapprove, is to free slaves from the slaves”. This part of the song is again accompanied by video clips of the violence between police and the men who laid siege to the mosque in Himandhoo. The video begins and ends with a man shooting live bullets from a machine gun at a makeshift target, a thin frame holding pictures of three men: former presidents Gayoom, Nasheed and Yameen. The bullets tear through the men, causing the pictures to fall to the ground. In the last frame, the shooter tramples on them with his boots. The issue of Maldivian fighters in Syria has become a political hot potato with the government accusing the opposition of inflating figures to suit its own agenda, and the opposition accusing the government of deliberately underrating them. Leader of the opposition, former president Mohamed Nasheed, convicted of terrorism charges in a trial the UN and other international organisations condemned as a travesty of justice, has spoken on various international fora of the large number of Maldivians leaving to fight in the wars in Syria and Iraq. 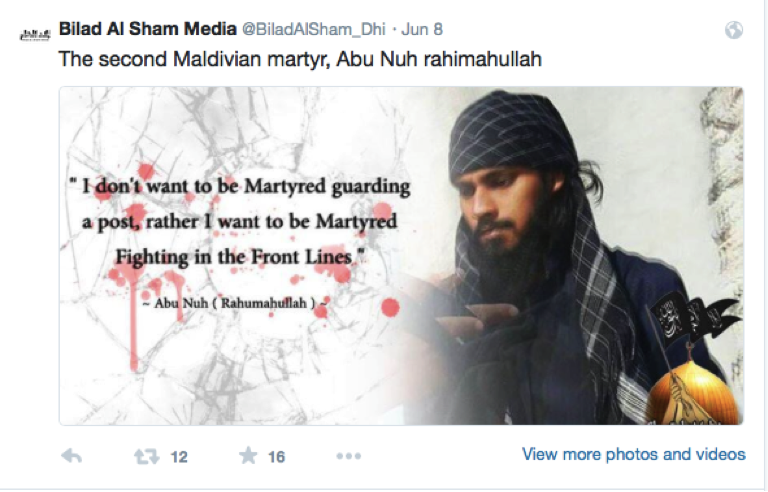 Nasheed has consistently put the number of Maldivian fighters in Syria at over 200. Yesterday, speaking in London at the launch of a new United Opposition in exile, he put the number at 250, saying Maldives has the world’s highest per capita foreign fighters in the region. On one occasion his international lawyers warned of the likelihood of a Tunisia-like attack on the Maldives’ tourism industry. 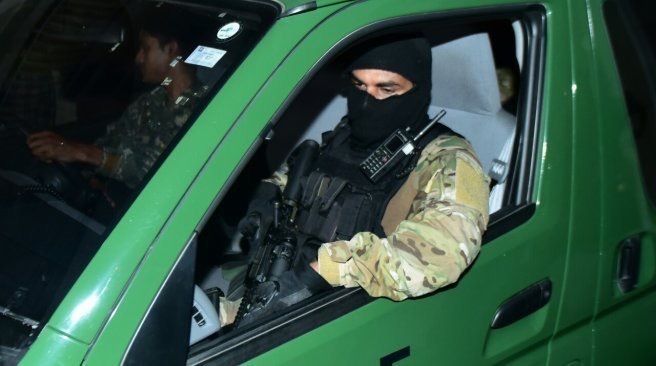 The government has, in turn, moved to downplay the issue, variously putting the number of Maldivian fighters at well below hundred, 50, or even 30. Such low figures are hard to accept given the regular flow of Maldivians leaving for Syria since 2014, sometimes in large groups and quite often as entire families. The government has imposed a policy of blanket silence on the issue, refusing to divulge any information to journalists. Prior to the implementation of this unannounced policy, the country’s largest newspaper Haveeru (now closed down under court orders) and Maldives Independent, along with other news outlets, used to bring regular coverage of Maldivian fighters leaving for Syria and Iraq. This has now come to a virtual standstill. The government’s policy of denial has made it hard to understand the true extent of the spread of ‘Jihadist ideology’ in the Maldives. Efforts to research, analyse and understand the phenomenon are also hindered by the government’s refusal to publicly share any steps it is taking to address the issue, and what kind of programmes, if any, it has initiated to stem the flow of fighters leaving for Syria. Nor have the authorities revealed who is behind the undoubtedly highly successful recruitment drives within the Maldives encouraging locals to leave their home ‘country of sin’ to be ‘true Muslims’ waging war in the name of God.